Race reports are horrendously boring, so let’s keep it short, then I’ll get into some race insights you might find helpful. A 4:14 (18 mins under the course record), and 1st Overall. 4:14 can be misleading, 1st age grouper usually sits very low 4’s or sub 4 now, but the course insights will perhaps shed some light here. Held back on the swim start, knowing full well I didn’t want to come out of the water with a 5 min lead and get swallowed by the packs at 50kms. At 800m into the swim I was 100m clear, at 1500m roughly 3 mins clear (backstroke revealed this), I eased right off. SPLIT - 25 mins. Rode the first 45 mins solo, before been overtaken by a German Uber biker that gave me windburn, I didn’t even bother try and go with him (nice guy too, I met him post-race). I rode the entire 90kms solo and managed a 2:23 on that course. I’m most pleased with this result. The changes are working, but there’s much to be done. 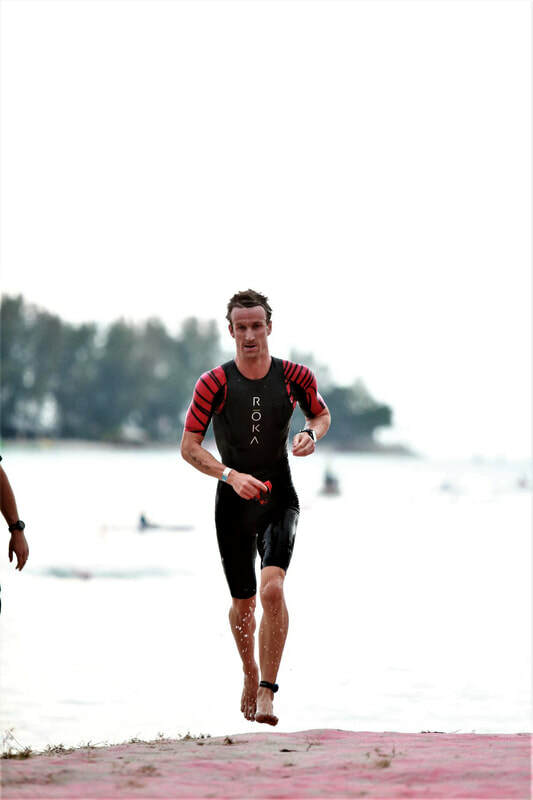 As I came into T2, ze German was exiting on the run, I judged around 5 mins down. Confident of a sub 1:20 split, so he’d have to run 1:24 ish to hold me off. I closed that gap after 10kms, I continued that chase pace (3:40’s) for another 5kms, just to shut the door. The final 5kms was more natural speed, that sounds horribly arrogant, but it’s just the way my run prep went. The final 500 metres was genuinely funny. According to Ironman I was around 10 mins early, so nothing was set up, no finish line photographer, just some staff with phones. The finish line photographer was at the 20.6km mark, he was madly sprinting alongside me to try and get there before me, he failed. Haha. So after finishing they asked if I could stand and pretend to hold the tape again… quite odd. But I wanted my finsherpix! 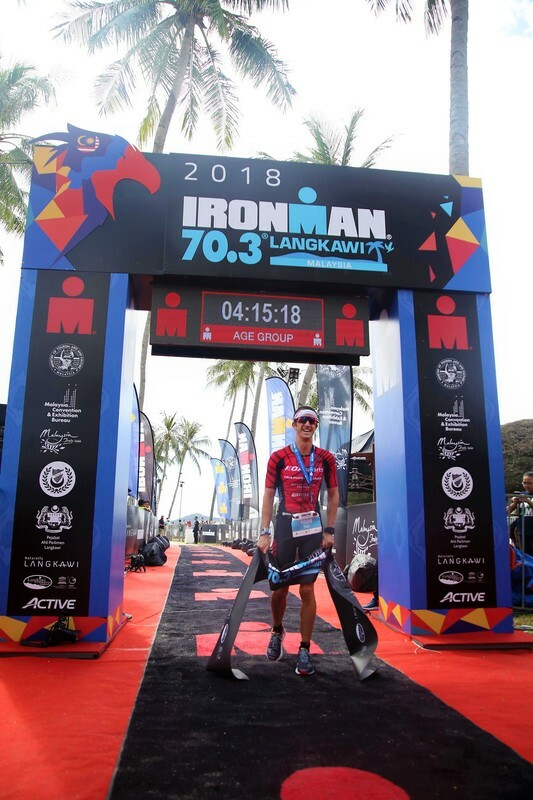 Here are some insights into the 70.3 course (IRONMAN course is the same for swim and run, and essentially 2 laps of the bike… give or take). 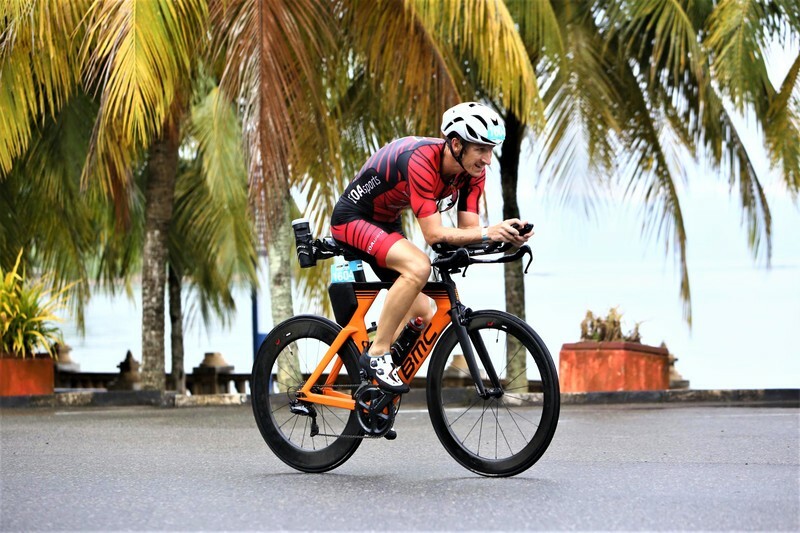 I spent around a week in Langkawi, so covered the course very well for coaching purposes. 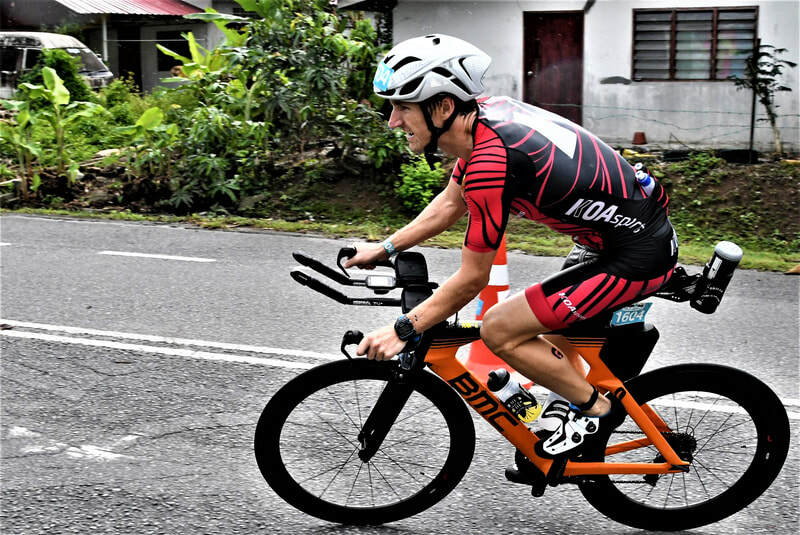 In short, it’s a slow and tough course, non-wetsuit, large elevation gain on bike and exposed hot run. If you take your coffee as decaf skinny almond bon-soy and a side of kale… it’s probably not for you. 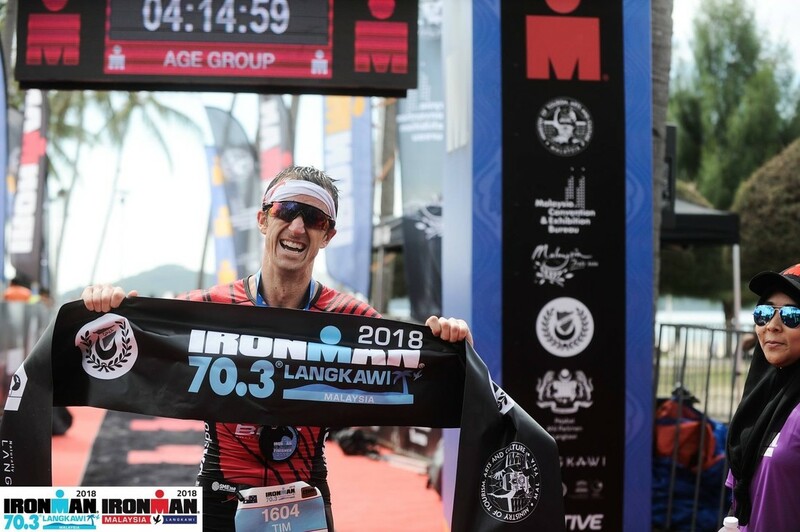 Like many of the swims for Ironman Asia, they are well sheltered and have guided ‘lane ropes’ on either side, you can’t get lost, sighting bouys are bright red flags every 50M around the entire course. Water temp is around 30. T1 is short and sharp, no long runs. The bike course PACKS A PUNCH. 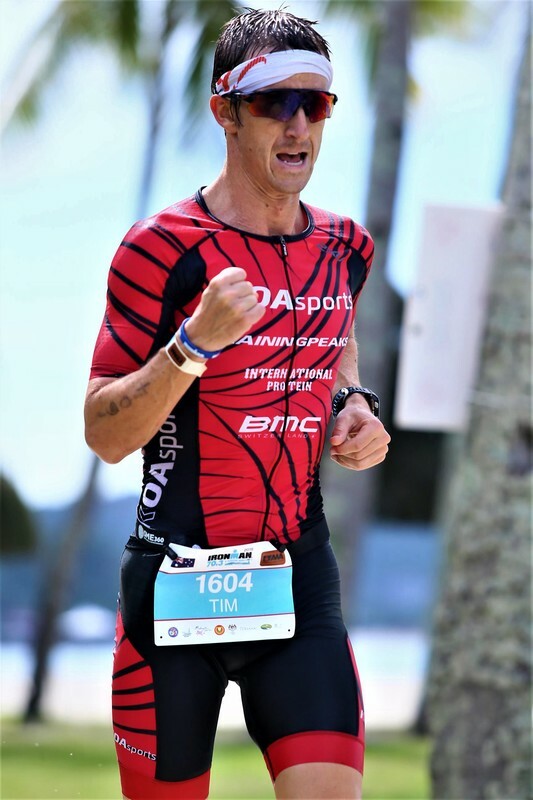 1200M for the 70.3 course and around 1700-1800M for the full. I wasn’t climbing for more than 3 mins at a time, but it’s relentless. There are 4 hills where the gradient reaches over 15%. Road surface is very good, a few rough parts. Given the location when it rains, it drops about 100mm in 15 mins, it did that. For the large packs behind there were many crashes and falls. Lot’s of debris on the road as winds in the storm reached at least 70kmh… I’m guessing. The lessons there are obvious. Again T2 is short and sharp.. but here’s the kicker… it’s inside an airconditioned convention centre. It’s so nice for that 3 mins… but when you exit those doors, the heat and humidity is a little uppercut. The run is totally flat and exposed. Nothing inspiring, just get it done, the only distraction is the odd airbus that lands on the runway adjacent to the run course. Like any hot race, if you’re coming out of temps below 20 Celsius, arrive early. 7-10 days for the full, 5-6 for the half. If you can’ afford that amount of annual leave, choose another race. You may fluke it, but it’s a massive punt. T1, T2 and finish line are all in different locations, so allows time the day before… be patient. It’s a pain, but that’s the way it is. The island itself is nice, a broad range of accommodation options and great culture. I got out and experienced subway and Starbucks. If you’re thinking of racing it… let me know, maybe I can help?